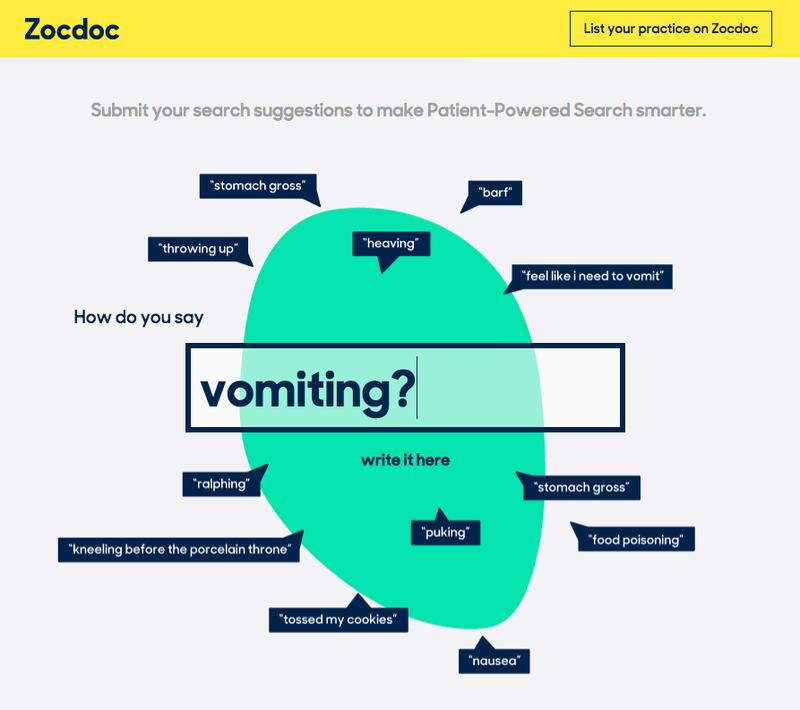 We teamed up with ad agency Office of Baby to create a responsive experience where users can submit search terms that will help improve ZocDoc’s search capabilities. Users are asked what words they would use to search for anxiety, nausea, acid reflux and more in this fun and useful tool. Creativity Online gave it a nice write up and ranked it the #1 most innovative brand idea of the week of March 24.